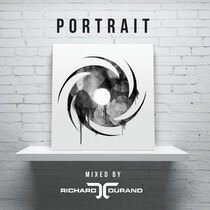 Having recently celebrated the release of 'Las Vegas' - his fourth ‘In Search Of Sunrise’ album, Richard Durand recently announced that he’s mixed the 'Portrait' cover mount CD for DJ Mag's ADE issue; the first in the forthcoming series of Black Hole Recordings releases which will profile the label. Featuring tracks and remixes from artists including Tiësto, Ferry Corsten, Aly & Fila, Solarstone, Roger Shah, Myon & Shane 54 and Giuseppe Ottaviani among them, the CD also features Richard's brand new hi-power single, 'Super Dad'. Bringing together the best of the current crop of releases from one of Holland's most established electronic music labels, 'Portrait' introduces a new album series incoming early 2014. The collection will chart year-by-year the musical history of the label, which was originally founded by Tijs Verwest (Tiësto) and Arny Bink in 1997. On mixing the 'Portrait' covermount, Durand said: "As a producer, Black Hole Recordings is virtually the only label home I've known. As such I was delighted to be asked to put together 'Portrait'’s promo edition. It contains many tracks from producers whose music I've long supported, as well as some newer ones I'm very excited about." On being interviewed by DJ magazine about his relationship with the label (now in its 6th year), Richard commented: "When I decided to start working with Black Hole Recordings, the foremost important thing was that it felt like a 'family' company. You're always welcome at the office; they’re always open to new ideas and try to help you with those too. That's definitely a good feeling to have." Catch Richard at the Amsterdam Dance Event throughout the conference, in advance of his set at the Grotesque's Indoor Festival in Rotterdam on the 19th of October.